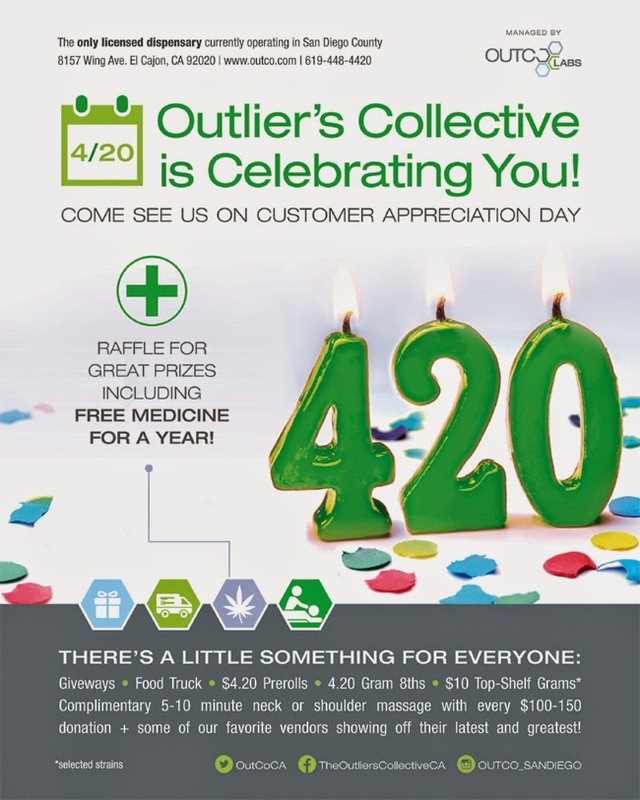 On April 20th, 2015 Outliers Collective is having a Customer Appreciation Day in El Cajon, California. Medical marijuana patients are welcome to come enjoy the event at one of the only legal dispensaries in San Diego. A raffle for prizes including free medicine for a year will be offered only on this day. A food truck, massages and special donation prices will be available to all members. OUTCO has been open since July 1st, 2014 with a fully legal license for medical marijuana in San Diego County. Patients say the quality, accessibility, safe, legal and clean environment make Outliers Collective their choice in dispensaries. A knowledgeable staff allows members to receive medicine that is specific to their needs.